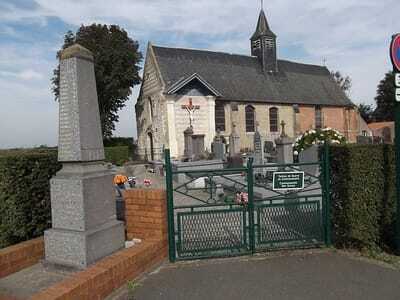 Wulverdinghe is a village and commune 24 kilometres south-south-west of Dunkirk and 10 kilometres north of St. Omer, wich is a town on the N.42 road from Boulogne to Lille. 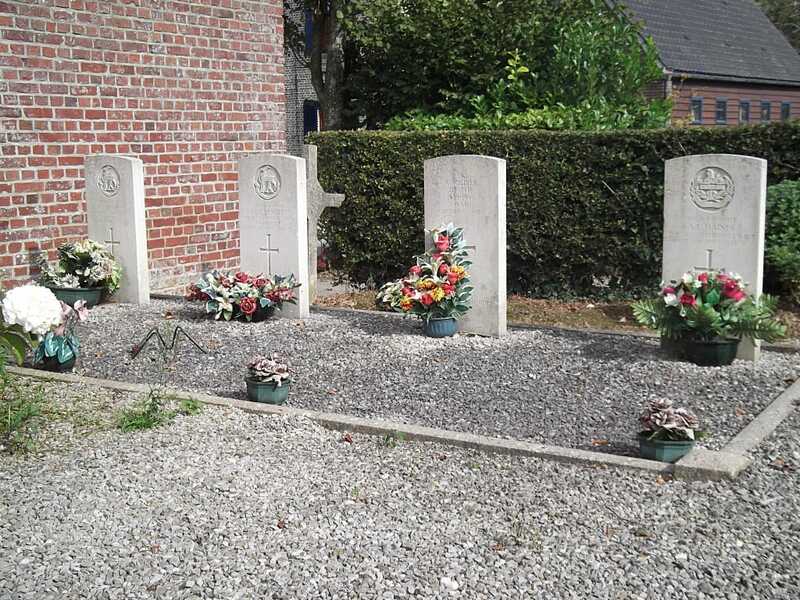 In this churchyard, one near the centre of the south wall of the church and the others near the church's south-eastern corner, are the graves of five soldiers from the United Kingdom, one of whom is not identified. 5725768 Private Victor Percy Benbow, 2nd Bn. 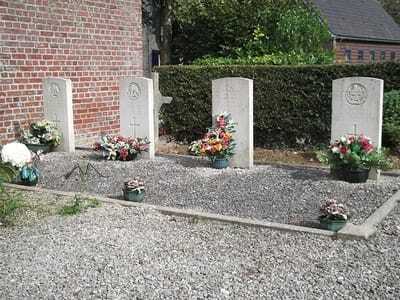 Royal Warwickshire Regiment, died 30th May 1940, aged 20. 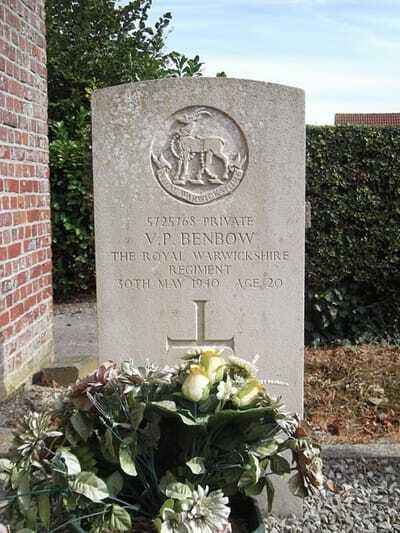 Son of Samuel and Elizabeth Benbow of Dudley, Worcestershire. 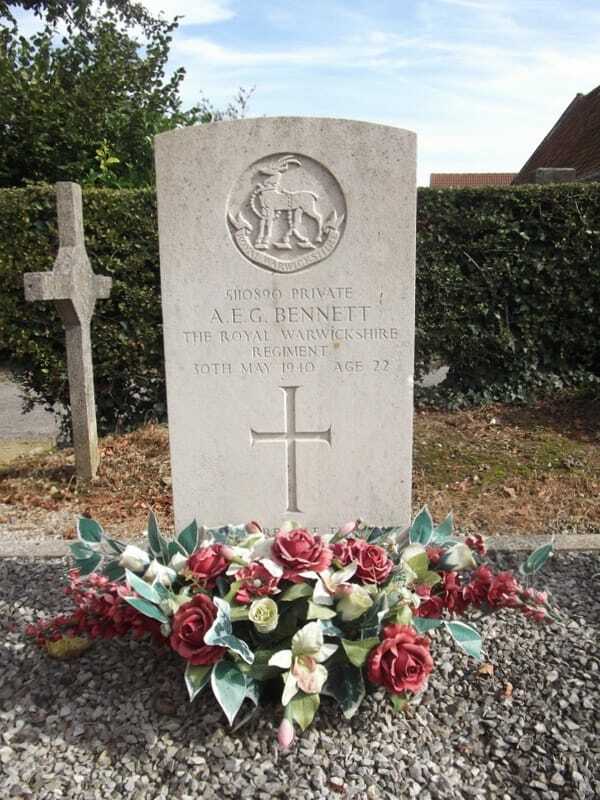 5110890 Private Albert Ernest Gerald Bennett, 2nd Bn. 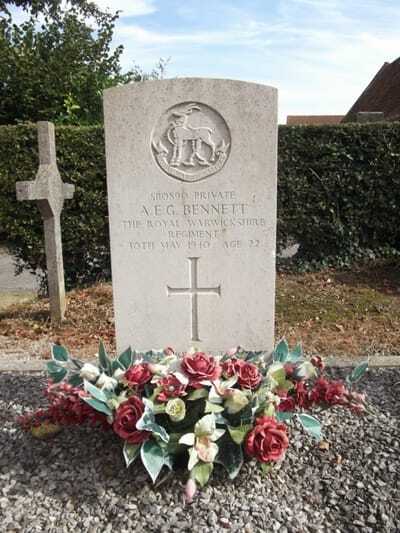 Royal Warwickshire Regiment, died 30th May 1940, aged 22. Son of Lilian Hart of Abingdon, Oxfordshire. 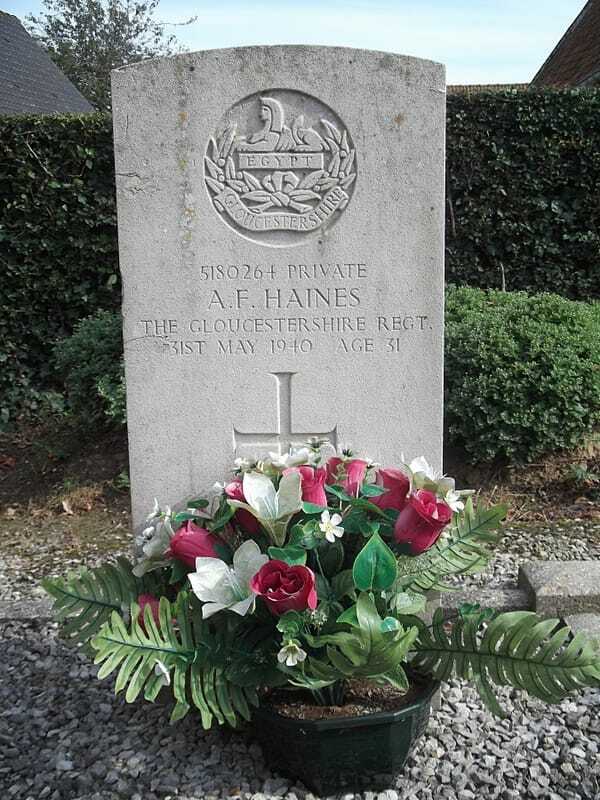 5180264 Private Albert Frank Haines, 2nd Bn. 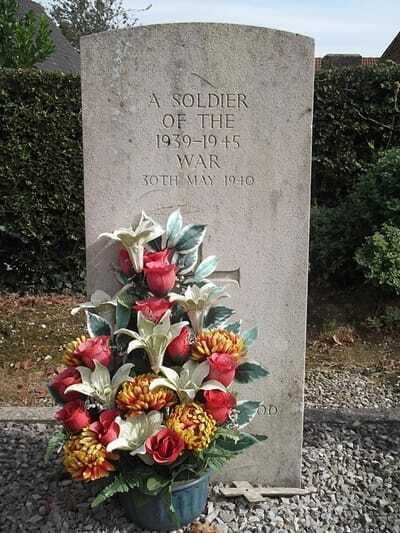 Gloucestershire Regiment, died 31st May 1940, aged 31. Son of Albert Edward and Mabel Ellen Haines, Husband of Gertrude May Haines of Kingswood, Gloucestershire. 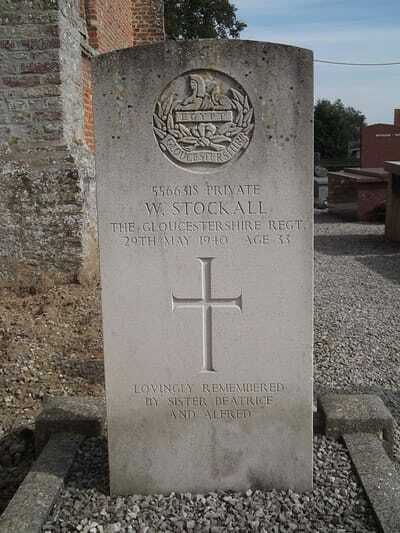 5566318 Private William Stockall, 5th Bn. Gloucestershire Regiment, died 29th May 1940, aged 33.